Colon cancer is one of the leading causes of death of many people around the world. Some of its symptoms may not appear until a later age. However, we can actually prevent this kind of disease if we know how to reduce our risk. High consumption of red and processed meat – corned beef, sausage, bacon, ham, and other cured meats) - have been found to increase the risk of colorectal cancer. It’s all because of the nitrates, nitrites, heme iron, and other carcinogens found in the meat that have been seared, barbecued, fried, and cooked at high temperature, according to Cedrek McFadden, MD, colorectal surgeon and clinical assistant professor of surgery at the University of South Carolina School of Medicine Greenville. Consuming fiber-rich foods have been found to have a protective effect against colorectal cancer. VEGETABLES: swiss chard, spinach, artichokes, carrots, beets, broccoli, collard greens, potatoes (russet, red, and sweet). BEANS & LEGUMES: Navy, white, garbanzo, kidney, peas, or lentils are all healthy choices. Obesity, along with diabetes and heart disease, was found to be directly connected to an increased risk of colon cancer. Cut down your consumption of fatty and sugary foods. A substance known as allium has been found to be able to defuse carcinogens and interrupt blood supply to tumors, thereby lowering the risk of colorectal cancer. Allium is present in onions, garlic, leeks, chives, shallots, and scallions. The greater the amount of allium-containing vegetables, the better the protection, according to senior author Dr. Zhi Li of the First Hospital of China Medical University. Too much alcohol intake increases your risk of colorectal cancer. Studies have found that alcohol is one of the reasons behind the younger onset of colorectal cancer that is usually found at the left side of the colon. We all know that smoking can cause many illnesses and one of them is colorectal cancer. According to studies, the risk of colon cancer jumps 19 percent in women smokers and 8 percent in male smokers. Moreover, it was found that even you smoked only a few cigarettes a day, your risk of colon cancer still increases. Studies revealed that physically active people have a lower risk of developing colorectal cancer, breast cancer, stroke, diabetes, and heart attack. Adults should at least have 150 minutes of moderate physical activity a week, recommends by the U.S. Department of Health and Human Services. As an individual gets older, the risk for colorectal cancer increases. This increase happens after the age of 40 and sharply rises after age 50. Genetics is one of the reasons behind the 15% of patients with colon cancer. Due to this, individuals, under the age of 50, who was diagnosed with colon cancer should undergo a workup for the presence of these genetic mutations. Some patients with colorectal cancer have a family member with a history of colorectal cancer or colorectal polyps. The risk of developing colorectal cancer is higher in those patients who have received an organ transplant, such as the kidney. Dr. Ravella says that it is because of the risk that is associated with the use of drugs that overpowers the immunity. 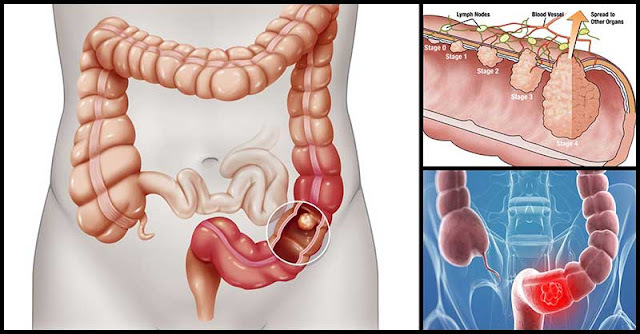 A person suffering from inflammatory bowel disease (IBD) - including ulcerative colitis or Crohn’s disease, have the tendency of experiencing chronic inflammation in the intestines and colons which increases that person’s risk of colorectal cancer.